Over 311,000 homes in the U.S. will face flooding every two weeks over the next 30 years. These alarming figures, which predict a steady increase in the number of flooded homes over the next few decades are from the Union of Concerned Scientists (UCS). Any instance of flooding usually inflicts lasting damage to a home. One of the surprisingly stubborn effects of flooding is an unpleasant odor that may envelop the house after the flooding. Professional help may be needed to clean up after major flooding but there is a lot that homeowners can do by themselves to get rid of the odors. 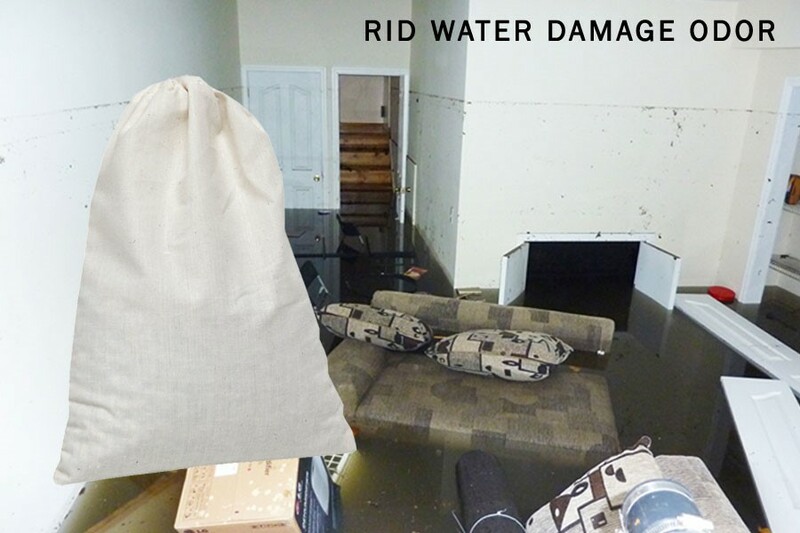 However, most people’s efforts to getting rid of these after-flood odors usually end in failure. Find out what you need to do to get rid of these odors. Any odor elimination efforts after flooding will go to waste if you don’t identify and remove the source of the problem. Odors from flooding usually come about when bacteria eat up the waste that mold and mildew produce when it grows on the house floor and ceilings. The ammonia and other gases released from these interactions are behind that characteristic musty smell. It is, therefore, important to terminate the growth of mold and mildew in a home after flooding. The dangers from mold and mildew infestation are not limited to odors, however. A study funded by NIH’s National Institute of Environmental Health Sciences (NIEHS) discovered that the presence of certain species of molds in the home increases the chances of development of asthma in children aged 8 months to 7 years. Therefore eliminating molds and mildew in your home will go a long way in reducing the risk of allergies and asthma in children. Applying undiluted white vinegar or diluted bleach on the mold is a popular way of killing it. You can also apply other commercial products directly on surfaces to kill mold and mildew. Odors after water damage in a home are usually at their strongest in warm and moist conditions. This is because these conditions create the perfect habitat for microorganisms. In fact, damp conditions in the home are linked to a number of respiratory tract health problems. It is therefore imperative to keep the home dry the after flooding. You can use ceiling fans or pedestal fans directly to drive out moist air from the home as well as commercial moisture absorbers and dehumidifier. A quality non-toxic deodorizer and desiccant can help to remove both moisture and the odor from the air in the house. The MoistureSorb® Reusable Moisture & Odor Absorbent Pouch can be placed in the basement or attic to keep the house dry. You can also place these pouches in the bathroom and kitchen cabinets and inside closets and air ducts. These pouches will give you the best results if used in conjunction with the MoistureSorb® Natural Moisture Absorbent Granules. These granules reduce odors by lowering the relative humidity of the room. Moreover, it can be sprinkled on surfaces or placed in open containers in areas with bad odors. Meanwhile, the Smelleze® Reusable Musty Smell Deodorizer Pouch is the remedy of choice for homes with that stubborn musty odor. This deodorizer can be used specifically for areas with the musty mold and mildew smell. Odors after flooding can last for a considerable amount of time after the initial cleanup process. But most people’s efforts to get rid of such odors usually fail because they fail to address the root cause of the problem: the mold and mildew. When you remove the mold and mildew and reduce the dampness of the house, you’ll likely get rid of the unpleasant smell.